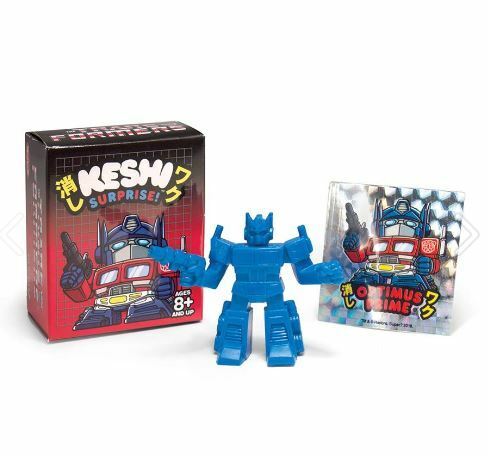 Only a couple of days after Super7 released two teaser images, we now have the full details and in-box pictures of what is officially titled their A-01 “Dead” Optimus Prime Super Cyborg Action Figure and the Keshi Surprise blind box figures debuting at NYCC! Relive your traumatic childhood memory with the NYCC 2018 Exclusive Transformers “Dead” Optimus Prime 12-inch Super Cyborg Figure. 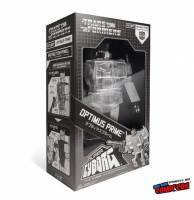 Dead Optimus comes with Ion Blaster, removable Chest Plate, in grayscale packaging to match the figure. We’re not crying, you’re crying. 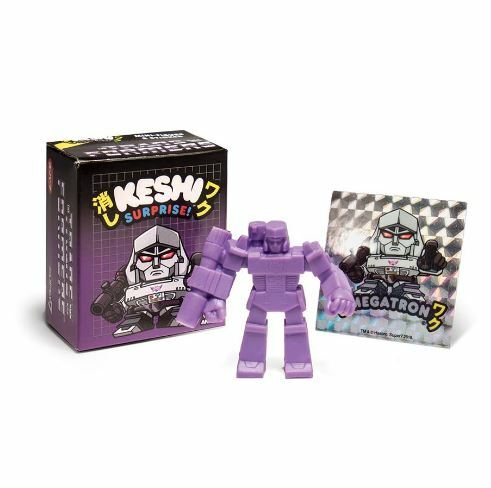 The Super7 x Transformers collaboration continues with the debut of Autobots (Optimus Prime, Bumblebee, Grimlock, Jazz, Ironhide, and Wheeljack) and Decepticons (Megatron, Starscream, Shrapnel, Soundwave, Laserbeak, and Shockwave) in 1.75″ Keshi Surprise form! Each set has 6 different characters in 4 bright colorways packaged in individual blind boxes that also includes an exclusive foil sticker of the character. Super7 will be at booth #642. Are you attending the convention? Join in the discussion on the 2005 boards and stay tuned for our upcoming New York Comic Con coverage! Thanks for the heads up on this. I didn't even notice my Super 7 email notification from last night. Ended up ordering it, but was hoping the apparel would end up on the site as well. s7 never said if these will be for sale after the convention? Is there any confirmation from them? Seems like they are avoiding the question. Was there a confirmation somewhere? Also is this the beginning of these things or did I miss some other=s from the older conventions? I'm thinking about starting to collect these things. I don't want to pay scalper prices if they will release these down the road. So confused now. How big are these? I mean how tall? I saw the motu ones, are they 5 inches tall? 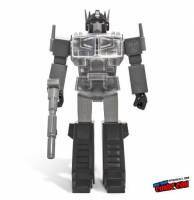 Transformers – Super Cyborg "Dead" Optimus Prime 12" Figure with removable chest plate (Grayscale figure and packaging). NYCC 2018 Exclusive Limited Edition. $75 each. I don't know. I've never seen one before. So can we buy this after thevcon on the site? Or do we have to get it at the con? Is this news? ToyArk already posted it on their NYCC 2018 He-man Coverage (not specifically Transformers). Not necessarily, but I will say it's preferred. It's one of the reasons why I go for Marvel Legends, et al. over POP!s (that, and likenesses). However, that's the good thing about collecting, there's many different companies producing stuff for every type of collector. I just think it's a shame that Super7 uses the licenses the way they do, because I would love to see them do for, say, M.U.S.C.L.E. what they're doing with Masters of the Universe. I have to say, Hasbro/Mattel/Super 7 can learn a thing or two from Bandai about the art of action figures, not to mention quality control. So the only way you can enjoy a collectible is if it’s articulated? Soft vinyl figure. Traditionally referred to vinyl figures of classic Japanese monster characters (Godzilla, Ultraman, etc. ), such toys dating back…well decades at this point. Man, aren't some of us old. Ohhh okay. Thank you for the explanation. Fantastic! IDK.. I bought a large Guyver with a comic book for around that price. Guyver 1. 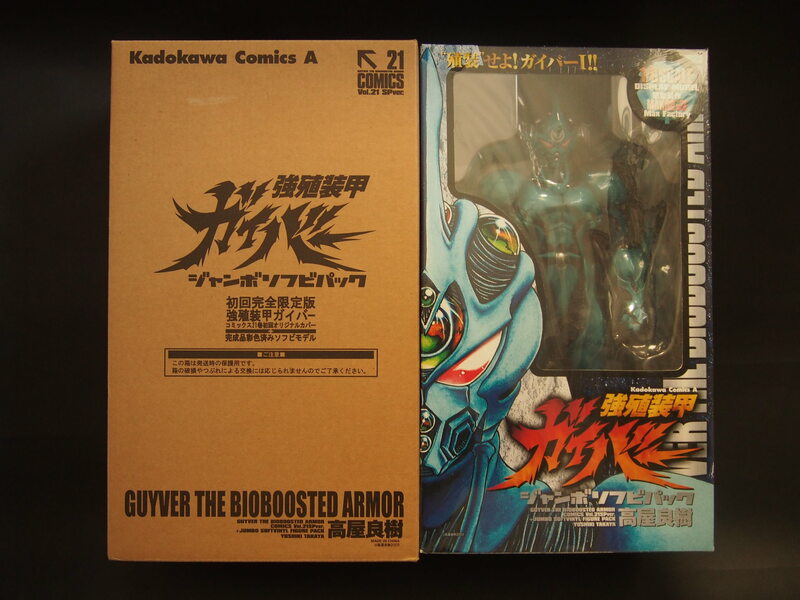 It came with a Japanese comic book of Guyver versus the hairy guy, and Guyver III with Super Armor. Man, this thread's gone nostalgic in a good way. I had that Guyver years ago. Very nice sculpt and rare to have a Guyver in that size. 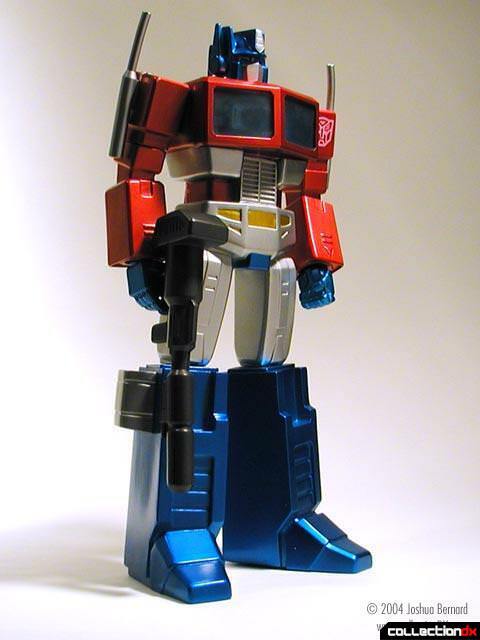 That Prime's a bootleg of the Metalforce vinyl, which, when it came out, was the best toon-accurate Prime available (before MP-01, I think). The rifle came in two pieces that you had to cut and glue together…not fun. The original had better fit/finish than that boot, from what you've described, but not a great toy. Pretty to look at, though. So, they're non-articulated and kitsch. Typical Super7. Love Mazinger and Great Mazinger. Of course! Lol.. Yes, that metal force is expensive, but there's a KO that was like 40.00 back in the day. Had a chest that could pop off. Had a matrix that sucked, and was cheap. But still a cool item. I want to find that again. Actually I had both. Great Mazinger and Gaiking. They were probably KOs or just worn out. All times are GMT -4. The time now is 8:11 AM.